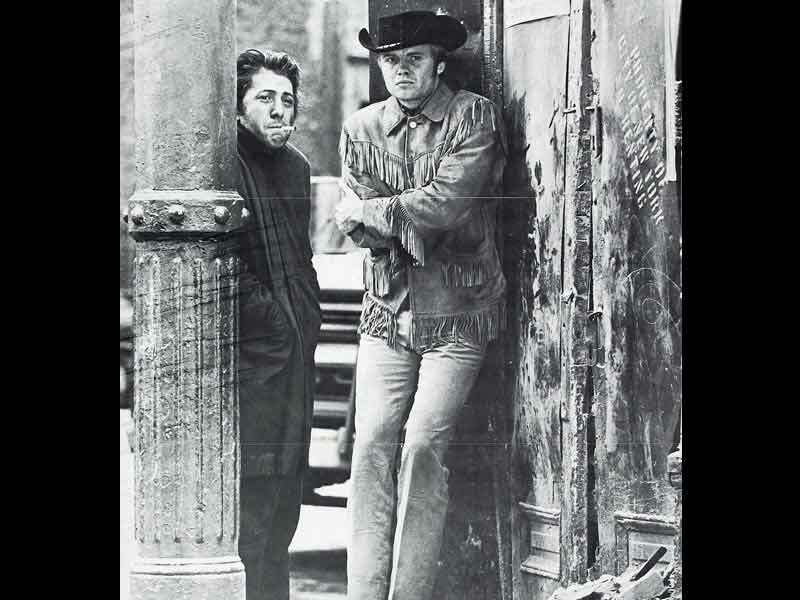 Centring on the love story between two drifters, one a naive ‘cowboy’ from Texas turned gigolo (John Voight), the other a diseased conman (Dustin Hoffman), John Schlesinger’s Midnight Cowboy is a landmark of American 60s cinema. Remarkable for its powerful, improvisatory performances, its honest depiction of urban squalor and isolation and its obligatory 60s formal flourishes, it is one of the most memorable of the hippie-era films that so poignantly convey the period’s disillusion over America’s broken dreams. Guest speaker: Emma Smart, programmer for the London Lesbian and Gay Film Festival, will talk about cowboys and gay representation in cinema in an onstage Q&A after the film. Film students and aspiring film writers are invited to enter our film writing competition: write a 200-word review of Midnight Cowboy and send it to ladyvengeance [at] electricsheepmagazine.com, marked ‘Film writing competition’ in the subject line. Time Out film critic Tom Huddleston will select the best review. Deadline: Thursday 27 May. The selected review will be published on the Electric Sheep website in May. This is a regular feature of the Electric Sheep Film Club. Read the March winning review of Careful. Electric Sheep Magazine hosts a Rough Trade Shops’ RoTa afternoon of film, music and discussion in the underbelly of Notting Hill. Main feature: Luc Besson’s fantastic sci-fi movie The Last Battle! Presented with a new live soundtrack by TIME! + Apocalyptic garage punk from Speak and the Spells! + Resonance FM DJ Robin Warren spins soundtrack tunes! 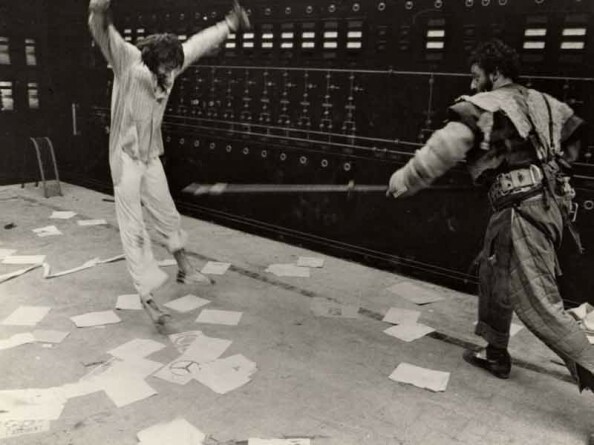 We are very excited to present an apocalyptic afternoon in collaboration with Sci-Fi London. We will be showing Luc Besson’s stunning first feature The Last Battle, about one man trying to survive in a devastated future world. Starring Jean Reno, it has all of Besson’s stylistic flair but is unlike anything else he has made since. Surreal, blackly funny and visually striking, it is a fascinating addition to the post-apocalyptic sci-fi genre. Sci-Fi London runs from April 28 to May 3 at the Apollo Piccadilly Circus Cinema, London. The Last Battle will be shown with a live soundtrack by innovative string and synths duo TIME. Frances Morgan (former editor of Plan B Magazine) and Mark Dicker weave a web of sound where warm harmonies slowly mutate into saturated riffs while haunting vocals add a dimension of storytelling. + Speak and the Spells play a fast and furious set of garage instrumentals to bring about the end of the world. 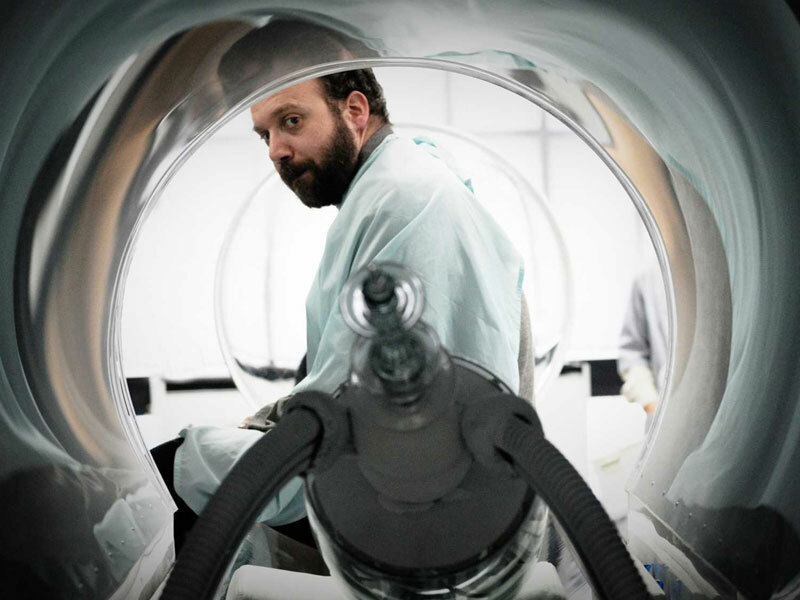 The Last Breath (David Jackson, UK, 2009, 10 min): When the Kelvin family surfaces after scuba diving in a lake, they find that the air has become toxic. With their tanks running low they embark on a race against time to reach the nearby dive hut. Tight and tense, this is a fantastic 10-minute thrill ride! It was produced by VBM Productions. 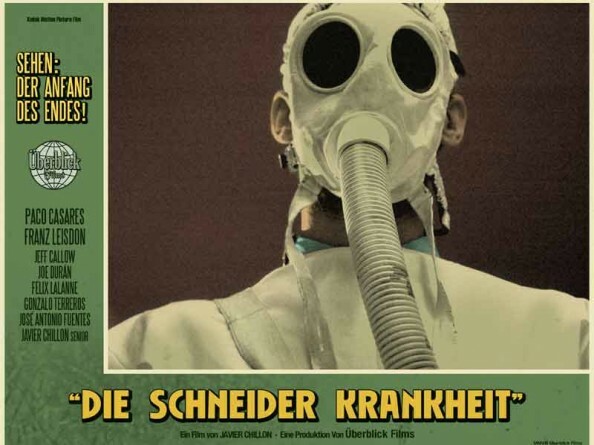 Die Schneider Krankheit (Javier Chillí³n, Spain, 2008, 10 min): This fantastic short presents itself as a newsreel recounting the rapid spread of a deadly virus after a spaceship containing a chimpanzee crashes in West Germany. The 50s newsreel style is perfectly reproduced, while the reasonable tone of the reporter is brilliantly contrasted with the outlandish events depicted. See more images on Die Schneider Krankheit website. Choreomania (Louis Paxton, UK, 2009, 9 min): The zombie movie is given a comic and very British twist as a man on his way to work tries to escape the dancing plague that has turned everyone in town into twitchy ravers. Very funny! In the latest Electric Sheep podcast, we’re looking at two films by female directors that deal with issues of absence and loss. Alex Fitch talks to director Sophie Barthes about her film Cold Souls, a Kaufman-esque science fiction comedy about soul-trafficking starring Paul Giamatti, and to Mirjam Van Veelan about her documentary Megumi, about the kidnap of a Japanese girl – Megumi Yokota – in 1977 by North Korea (with thanks to The Barbican for arranging the interview with Mirjam).